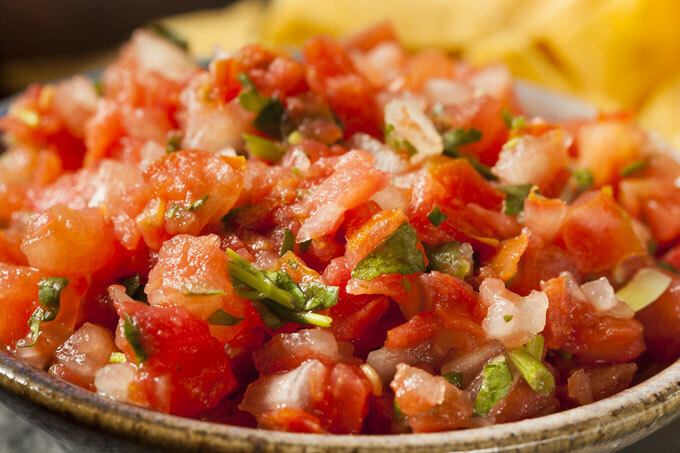 Fresh, crisp, and so flavorful, pico de gallo, also known as salsa fresca, is a raw version of salsa. 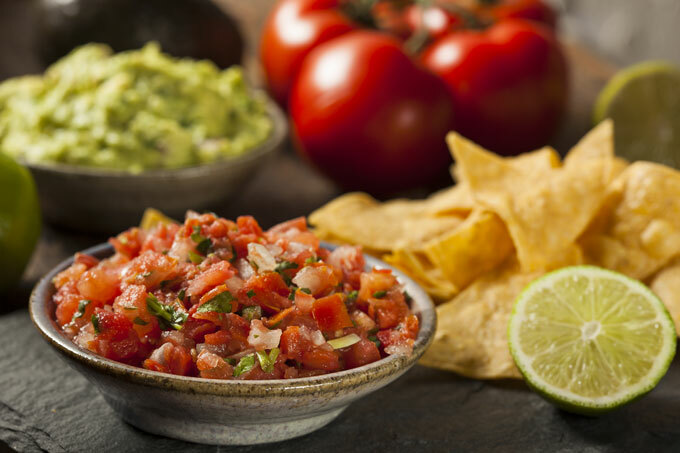 Like any dish that is made all over the world, there are many variations of pico de gallo. This recipe is very simple, using a base of sweet tomatoes, tangy onions, hot herbaceous chilies and aromatic cilantro, all mixed with a splash of zesty lime juice a a generous quantity of salt. This fresh salsa works not only as a topping for corn chips, but also as an amazing filling for wraps. I put one together with smoked tempeh, fresh arugula, guacamole, and a generous serving of the pico de gallo. Delicious! Add some quinoa and you’ve got an incredible summer salad. Fold it into an omelet and you’ve got yourself a filling breakfast. It’s August, which should be officially deemed a salsa month. 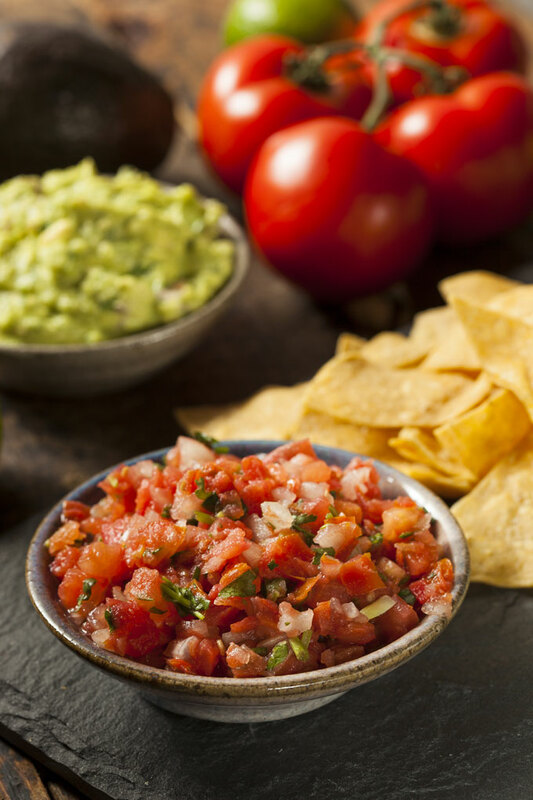 All the ingredients you need for salsa are fresh and in abundance. If you go to the farmer’s market, you’ll be struck by the bounty. It’s beautiful – colorful and so flavorful. It’s unlikely that you’ll find produce this fresh anywhere else. I always feel the urge to take advantage of it because this is the peak – soon we’ll only have apples, squashes, and potatoes. A farmer’s market is a like a paradise for me – sunshine, sweet smell, tasty produce and pleasant atmosphere. Watching a community come together is something that’s rewarding no matter the size of town or neighborhood. Farmers markets have the ability to pull people from all different backgrounds and walks of life to the same place at the same time and give them an opportunity to learn, experience, share and grow. Every person at the market has a common goal: acquiring food that is safe, fresh and delicious! While your local farmers market may be different than mine, I am confident that all the vendors truly care about their produce. After all, farming isn’t just their means of making a living; it’s their lifestyle. So if you get a chance, grab your friend or family, and take the advantage of a farmer’s market in your community. You won’t be disappointed. The key to an amazing pico de gallo is using the freshest and most flavorful tomatoes you can find. Plum tomatoes are the best because they have a lot more ‘meat’ to them than seeds and gel. They also seem to hold up a bit better after they’ve been salted. The next best option are cherry tomatoes or grape tomatoes. It’s better to start with less juicy tomatoes rather than seed juicier tomatoes as a way to control the liquid. Tomato seeds contain three times more flavor compounds, called glutamates, than the tomato flesh. So when you throw out the tomato seeds, you throw out a lot of the flavor too. You can use whatever type of onion you already have. However, using the right onion will definitely make your salsa taste better. The most commonly used onions in Mexican dishes are white onions. Their crisp texture and pungent, tangy flavor makes them perfect for salsas, chutneys, and in other raw preparations. Another great option for raw dishes are sweet onions, such as Mauis, Walla Wallas, and Vidalias, which are milder and really do taste sweet. For chili peppers, I prefer medium-spicy jalapeños while my husband prefers spicy serranos. Jalapeños and serranos are the two most popular fresh chilies in the US and Mexico. However, you can experiment with other peppers and chilies. For mild pico de gallo, try yellow or orange bell peppers instead of hot peppers. For fiery hot pico de gallo, go with habaneros. To control the heat, remove the seeds and membranes, which are the spiciest parts of chilies. Fresh, finely-chopped cilantro is one thing that can improve any pico de gallo. The combination of cilantro and tomatoes is one of the most traditional and popular condiments in Latin America. However, some people hate cilantro. In a genetic survey of almost 30,000 people published by Cornell University, researchers were able to pinpoint a variation on the genes of those who admit to finding the herb repulsive. So consider whoever you’re going to be serving the pico de gallo to. Some prefer more, others less (or none). Hands down, key limes are the way to go. Of a Mexican origin, key limes impart unique tanginess and authentic flavor. If you can’t find key limes, any limes will do. Just keep in mind that limes vary in tartness so first try half of the lime juice called for in the recipe. Of course we need to add salt. Chefs love their kosher salt and so do I. However, in this recipe I prefer finely ground sea salt because it dissolves quickly compared to the grainier kosher salt. This basic recipe is so versatile that it can be tailored to suit any taste. Add mango for a touch of sweetness; fire-roasted chilies for a smoky flavor profile; garlic for an extra pungency. 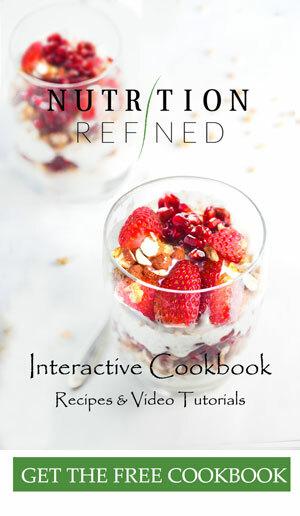 Let you imagination run wild with this delicious and versatile delight. In Mexico, people will often deflame the onions before adding them to salsas and other raw dishes. Some will blanch the onions while others simply run the onions under water. My favorite method of deflaming onions is one I’ve learned from a chef who specializes in Mexican cuisine – Rick Bayless. Rick dices the onions and puts the pieces in a sieve. Then he places the sieve in a bowl of water and adds about 2 tsp. (10 ml) of vinegar to the water. I usually use 2 Tbsp. (30 ml) of lime juice. The onions sit in the water/vinegar mixture for a few minutes to get rid of the onions’ bite without diluting the flavor. While you can use a food processor and pulverize all the ingredients into a delicious sauce, I prefer chopping everything by hand. Properly chopped, the ingredients retain a fine texture and truly come alive on the palate. Accompanied by the salty, tangy seasoning, it’s a beautiful balancing act. Though a bit more tedious than loading up a food processor, the fine hand chopping makes a huge difference in the final dish. 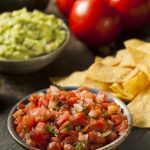 Fresh, crisp, and so flavorful pico de gallo (also known as salsa fresca) is a popular Mexican side dish that goes really well with corn chips and guacamole. Chop the jalapeno pepper: slice the pepper in half and taste one of the seeds for heat. If the pepper isn't too hot, finely mince it. If it's very hot, remove the seeds and membrane, and then mince it. Combine all the ingredients in a bow. Taste and adjust the salt, lime juice, and cilantro. Store leftover pico de gallo covered in the refrigerator for a few days, though best when fresh.